My lovely Mum had the girls for a sleep over one night during the school holidays, such fun for all of them, but while they were away I thought I’d give myself some much needed time out and go to the gorgeous Ovvio in Paddington (Sydney). I was pretending that I was back in the day, you know, before kids (but if I really was I wouldn’t have been in a teashop but next door at The Royal instead! ) But reality is that I wanted some quiet time and spent a lovely half hour or so trying out different teas that are could give me peacefulness, clarity, calm, immunity boosting, bring the lourve on (didn’t get that one, I wanted some peace remember), or a taste of Christmas in July (yummy). It’s just a little shop with a huge range of teas but it’s so pretty and is also home to the Naturopathic Clinic of Anthia Koullouros the author of “I am Food”. As I was sitting sipping my tea I had a look at the book, I ended up buying it not just to add to the collection but I really liked what she had to say and the recipes are all fantastic. If you have been reading my posts you will know that I’ve been to some Paleo workshops lately and find it quite interesting but I’m still not sure about taking the complete plunge. I am Food takes a sensible approach, I think, to food in that making good food choices can help you be in the best health position possible, it’s not paleo as it includes dairy and has a few grains but it seems to be more realistic. It shows an achievable way to transition from relying on lots of processed food to eating seasonally, sustainably and locally produced wholefoods. Included in the book is a 28 day menu plan and a seasonal eating guide which is helpful. Everything is pretty much gluten free, sugar free and most are grain free too but it’s not something it makes you focus on, it’s just really nice wholesome, nourishing food. Tonight I’m soaking a grain free Pear & Vanilla Bircher for breakfast tomorrow, so virtuous I know! Yesterday our dinner was inspired by the Tuscan Lamb Shanks and the left overs were made into a soup for my lunch and bone broth for later on. The girls went off to school with slices of the Vanilla Banana Coconut cake and guess what, none of it came home again so it must be good. 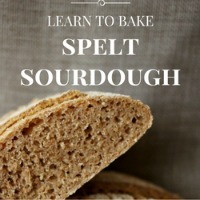 I want to try most of the recipes in the book which is saying something. Nice photo’s too. So all in all I had a nice reprieve for an hour or so during the school holidays, had a lovely cup of tea and got a new cookbook. Not really like back in the day at all but bring on the next school holidays! Ha!